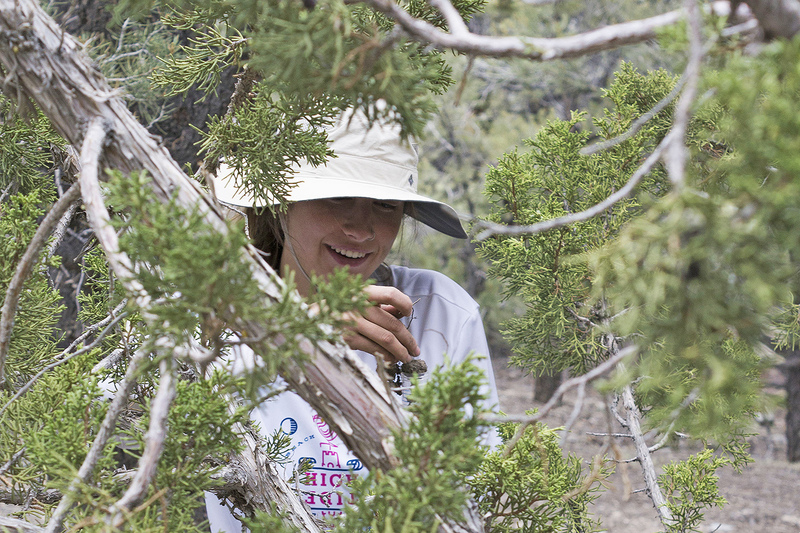 Nicole DelGaudio ’18 samples the rhizosphere of a juniper tree. This spring, a research team from Wesleyan traveled to Death Valley National Park to explore the ways bacteria diversifies in extreme environments. Death Valley, located about 130 miles west of Las Vegas, is a below-sea-level basin known for being the hottest place on earth and driest place in North America. The average rainfall is less than 2 inches, annually. Cohan, along with graduate student Jerry Lee, Bella Wiener ’19 and Nicole DelGaudio ’18, traveled to California May 29 through June 4. During this time, the researchers trekked through miles of parched — and often prickly — landscapes seeking to sample root soil, or rhizosphere, from various plant species, each over a wide range of elevations that differ notably in their temperatures. During the Graduate Student Speaker Series talk on April 20, Stephen Frayne, a PhD candidate in chemistry, spoke on “Designing Dendritic Polymers: From Theory to Experiment.” Study and application of polymeric materials spans the physical, life, and applied sciences and has revolutionized nearly every facet of modern day society: medicine, transportation, construction, agriculture, and electronics, to name a few. 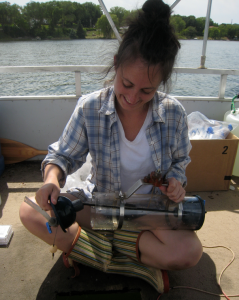 Maya Gomes ’06 and her co-author Matthew Hurtgen published their paper, “Sulfur isotope systematics in a permanently euxinic, low-sulfate lake: Evaluating the importance of the reservoir effect in modern and ancient oceans,” in the June issue of the journal, Geology. 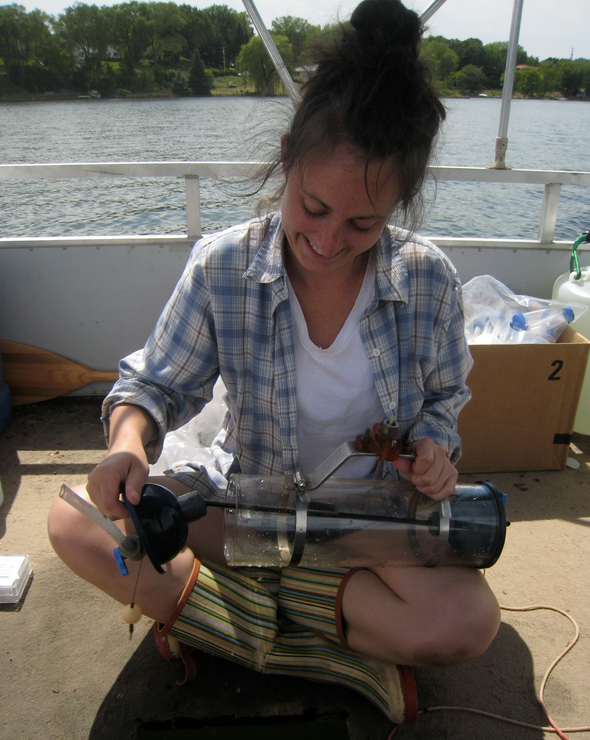 In the paper, the authors present data that shows how geologists can use sulfur isotope compositions of marine sediments to discover variations in oceanic sulfate levels through Earth history. 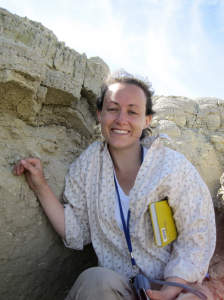 “I fell in love with geology and research when I was an earth and environmental science major at Wes,” she said. 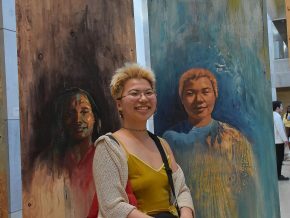 Gomes wants to share her work with the Wesleyan community because she hopes that it will show that the strong foundation she received in science while attending Wesleyan University has allowed her to “pursue high quality research as a PhD student. 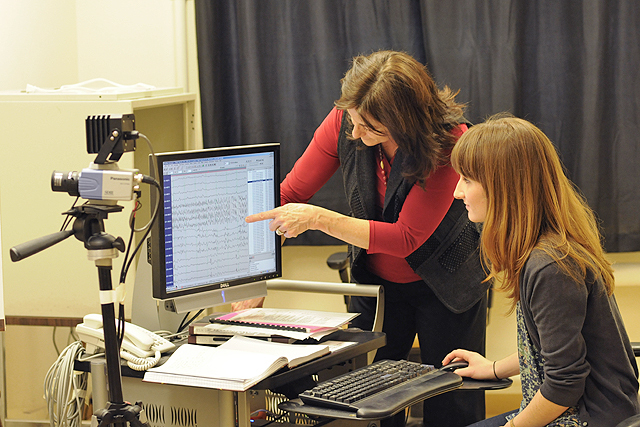 Andrea Patalano, associate professor of psychology, and Barbara Juhasz, assistant professor of psychology, have collaborated on research examining how decisive and indecisive people differ in their processing of information by using an eye-tracking instrument in the Department of Psychology. To determine the difference between a decisive and an indecisive person, follow the movements of their eyes. Andrea Patalano, associate professor of psychology, and Barbara Juhasz, assistant professor of psychology, have collaborated on research examining how decisive and indecisive people differ in their processing of information, which is a little-studied area. Their full findings are scheduled to be published in the near future, and both researchers are excited about what they found. Patalano has spent many years studying decision-making while Juhasz has spent time tracking readers’ eye movements using a device called an eye-tracker. Since the researchers were examining the individual differences between how decisive and indecisive people search for information, they were forging new ground. Juhasz’s EyeLink 1000 eye-tracking machine (SR Research Ltd), housed in her Eye Movement and Reading Lab at Wesleyan, provided Patalano with the equipment she needed to validate prior assumptions and record precise eye movement data. These individual differences are what matter to Patalano. 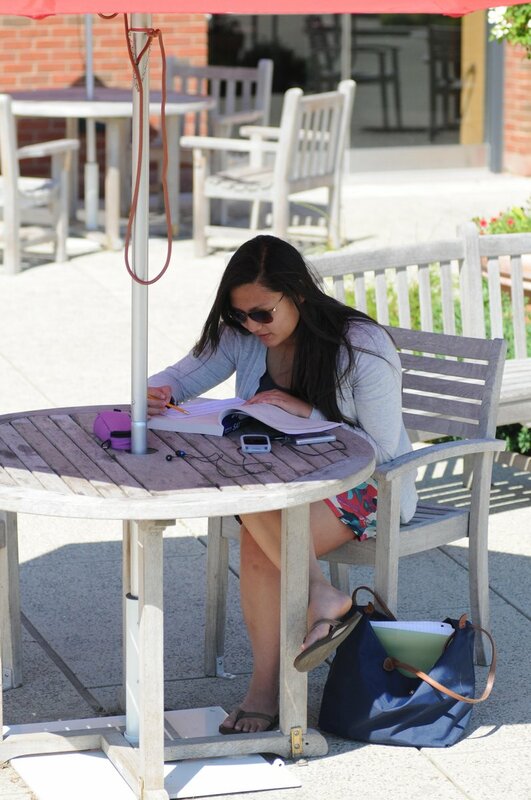 For the study, 54 Wesleyan students were studied as they completed a hypothetical course selection activity. Patalano had asked subjects do course selection tasks in the past. Originally, she used a paper-based exam and transferred the test to a computer, but there was no precision eye-tracker involved in the data sampling. 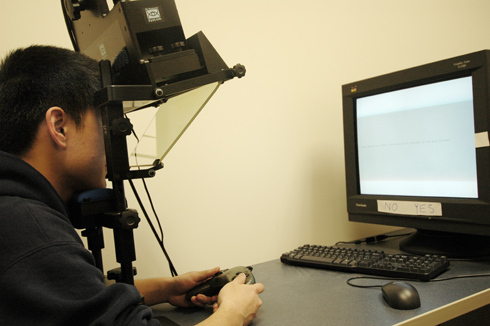 For the eye-tracking course selection study, the course titles and attributes were placed on a grid and the EyeLink 1000 machine sampled participants’ eye positions every millisecond as the selection tasks were done. The data were captured and recorded. 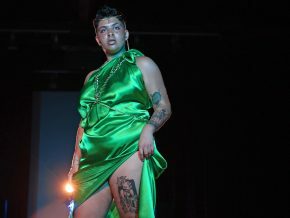 Students were told to imagine that they had one course left to select in order to complete their class schedules and all of the presented classes would fit into their weekly schedule. Participants had to choose among five courses, labeled Courses A through E and these courses differed on the following qualities: Meeting Time, Instructor Quality, Amount of Work, Usefulness for Goals and Interest in Topic. The courses were similar in quality and the students could only pick one course. One group of participants was allowed to delay their choice while another was not given that option. After the participants completed the course selection task, they rated themselves on a standard indecisiveness scale. It took just under two years for Patalano, Juhasz, and undergraduate research assistant Joanna Dicke ‘10 to complete their groundbreaking research. And that was not because they were indecisive. There were simply so much data to evaluate. The results of the study suggested three major findings. First, there was a difference in the way people scanned the information. While decisive people narrow down a decision based on a particular attribute, indecisive people take in all of the information. Decisive people might say that all of these courses have good and bad attributes, but they selected an attribute that was most important; indecisive people saw that all information had some good and bad points. Secondly, indecisive individuals divided their time over a greater number of attributes of their course. The decisive participants focused on fewer attributes in order to make their decision. Interestingly, indecisive individuals spent more time overall looking at nothing, that is, they looked at the blank cells in the grid while (apparently) trying to make a decision. The researchers were not sure why the indecisive individuals spent more time looking at blank spaces, but theorized that doing so allowed them to ruminate or reframe their choices before making a decision. Patalano said that applying eye tracking to decision-making research was a relatively new methodology for individuals who study how people come to final conclusions on things like buying a car, choosing an insurance plan or selecting a college course. This research and subsequent studies could lead to the creation of strategies to assist people who far too often struggle with decision-making. To read the entire journal article, titled “The Relationship Between Indecisiveness and Eye Movement Patterns in a Decision Making Informational Search Task” from The Journal of Behavioral Decision Making go here. Several Wesleyan faculty, graduate students and alumni participated in the 2009 Geological Society of America Annual Meeting Oct. 18-21 in Portland, Ore.
Suzanne O’Connell, associate professor of earth and environmental sciences, director of the Service Learning Center, presented a research poster and delivered a presentation titled “Techniques and Tools for Effective Recruitment, Retention and promotion of Women and Minorities in the Geosciences.” She spoke about the grant-funded organization Geoscience Academics in the Northeast (GAIN), which was established to build a community of academic geoscience women within a small geographic area. Johan Varekamp, the Harold T. Stearns Professor of Earth Science, professor of earth and environmental sciences, presented an abstract of his research titled “Twelve Years of Element Flux Measurements at Copahue Volcano.” He spoke about measuring water fluxes and river water compositions on the volcano for the last 12 years including a magmatic eruption period in 2000. 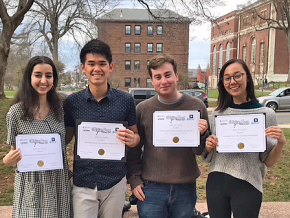 Varekamp and Ellen Thomas, research professor of earth and environmental sciences, presented the paper “Natural and Human Impacts on the Evolution of Block Island, RI.” Sarah Gillig ’09, Emma Kravet ’09 and Conor Veeneman ’09 also contributed to the paper. 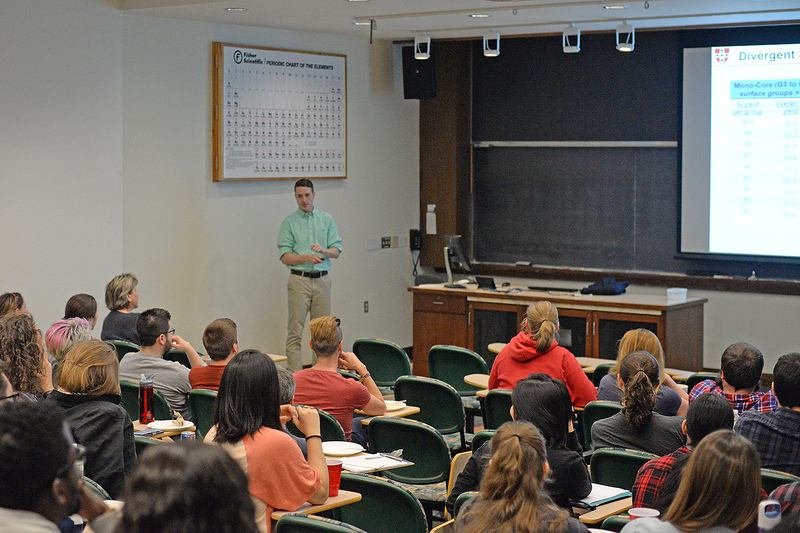 Dana Royer, assistant professor of earth and environmental sciences, gave a talk titled “Leaf Economic Traits from Fossils Support a Weedy Origin for Angiosperms.” Royer explained how many key aspects of early angiosperms are poorly known. By studying leaf economic traits such as photosynthetic rate and leaf lifespan, Royer concludes that early Cretaceous landscapes were populated with weedy angiosperms with short lived leaves. Royer’s former post-doc Dan Peppe and Maria Gabriela Doria Ramirez M.A. 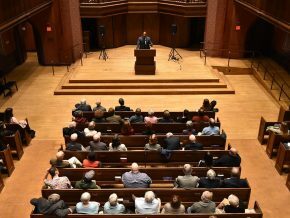 ’09 gave a talk. McNair Fellow Sofia Oliver ’10 attended and co-authored Peppe’s paper. Earth and Environmental Sciences major James Rea ’09, who currently works at the Cascade Volcano Observatory, presented his work on “Regional Magmatic Setting of Callaqui Volcano (S-Andes, Chile).” Rea samples several rocks from lava flows, scoria cones and dikes around the volcano for trace elements, mineral chemistry and radiogenic isotope compositions. Earth and Environmental Sciences graduate student Tristan Kading presented a similar abstract titled “Copahue Volcano, Argentina: Introducing ‘Extreme Environments’ on Earth to High School Students” and “Lake Caviahue, Argentina as a Source-Sink for Volcanic Arsenic and Phosphorus.” Kadding has spoke to local high school students about field work in the small village of Caviahue. The talks highlight the nature of geological field work while touching on some important basic concepts in earth science. 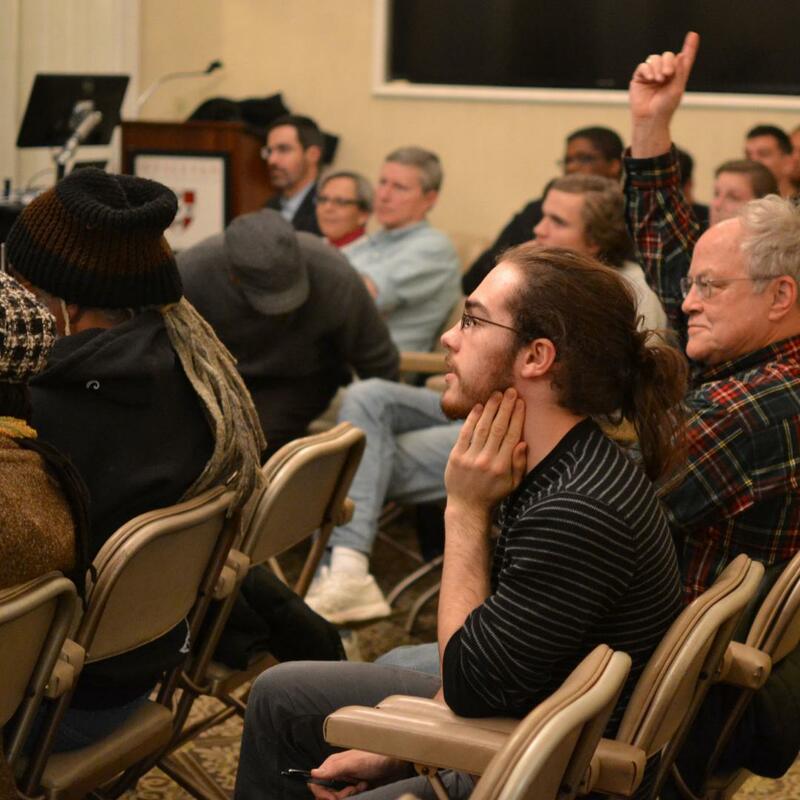 Other attendees included Peter Patton, professor and chair of earth and environmental sciences and Emma Mendelsohn ’10. Edward Moran says he measures the mass of black holes by its gravitational effects on something else that's nearby. 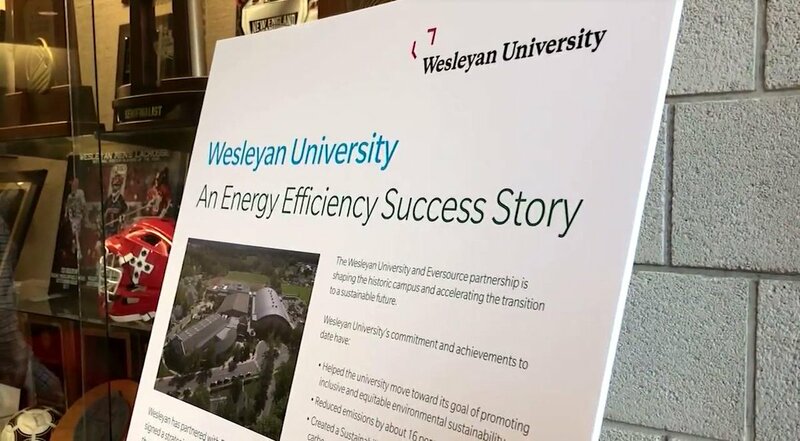 5 Questions is a new feature in The Wesleyan Connection that will ask faculty members – surprise! – five questions about their work and activities. 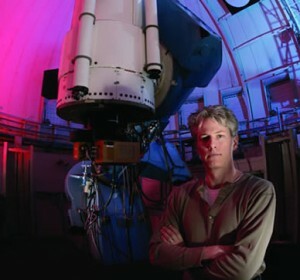 This issue, the questions go to Edward Moran, chair and associate professor of astronomy and director of the Van Vleck Observatory. His primary area of study is black holes. This summer he received a major National Science Foundation (NSF) grant for an extensive study on “intermediate mass” black holes. Q: Everyone thinks they know, but once and for all: what is a black hole? EM: Technically, black holes are places where matter has been crushed down to a single point. In other words, blacks hole can have the mass of a star but absolutely no size. They therefore have infinite density and, in their immediate vicinity, an extremely intense gravitational field. Q: How are black holes created? Biology Ph.D candidate Kate Miller treks through a wildflower-lined trail alongside Middletown’s Coginchaug River. She approaches a plastic garbage bin and a PCV pipe protruding from the ground. “That’s my bat echolocation recorder,” she says. “It’s old but I’m not complaining. It was free and it works.” Miller credits Scott Reynolds, Ph.D, of North East Ecological Services in Concord, N.H. for the loan of the equipment. 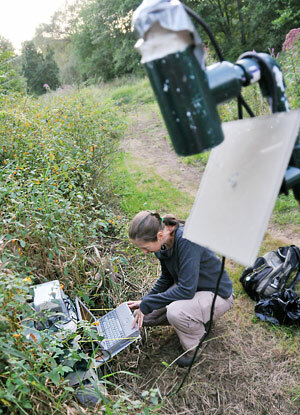 Inside the crude setup is a 12-volt battery, an echolocation call recorder and lap-top computer. Every 1.5 seconds, the equipment translates the information into a graph and stores it as a data file on the laptop. Miller opens the lap top and examines the graph, which reveals recorded frequencies vs. time on two axis, in real-time. The meadow is alive with audible sounds of songbirds, crickets and cicadas. In order for animals to detect food sources, avoid predators and find mates, they rely on their olfactory system, or sense of smell. The ability to detect and distinguish among thousands of environmental odorants is based on a combinatorial recognition system. A specific smell is coded in the brain by a specific combination of receptor proteins that get stimulated by the unique combination of odorant chemicals elicited by that scent. 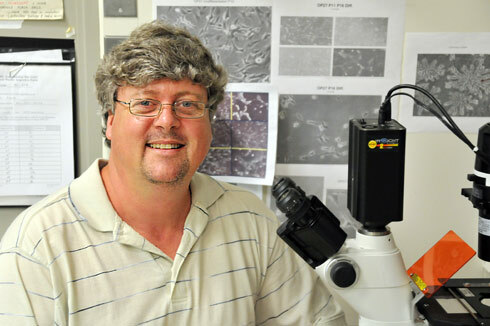 “The smell of ‘lemons,’ for example, would result from a specific combination of odorant receptor proteins that become stimulated upon binding the specific set of inhaled chemicals emitted from a lemon,” explains Robert Lane, associate professor of molecular biology and biochemistry. 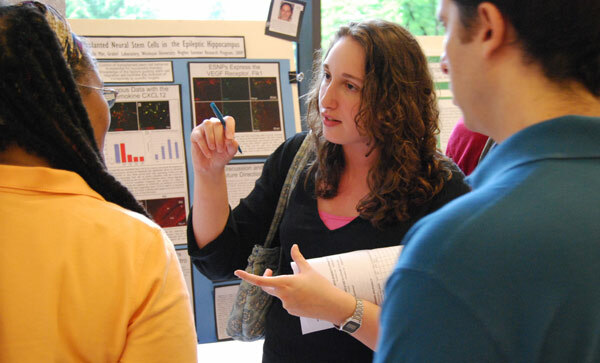 Anna Shusterman, assistant professor of psychology, received a five-year National Science Foundation grant. 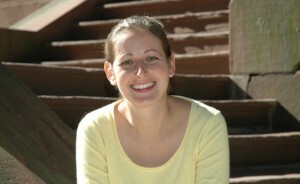 Anna Shusterman, assistant professor of psychology, recently received a five-year, $716,227 grant from the National Science Foundation (NSF) to study “The role of language in children’s acquisition of number concepts.” Shusterman will be evaluating 3-to-5-year-old hearing children in her Cognitive Development Laboratory at Wesleyan. She also will be studying deaf and hard-of-hearing children of the same ages who are learning English to try to determine how language delays affect children’s learning of number concepts. The grant, which begins this year, comes from the National Science Foundation’s Faculty Early Career Development (CAREER) program. 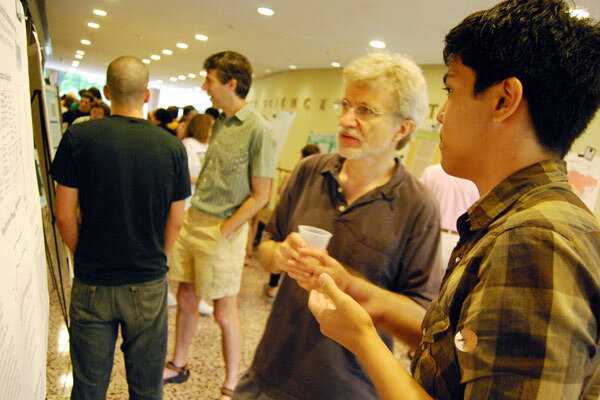 The program is only available to non-tenured faculty. Researchers may apply a total of three times to the program; Shusterman was awarded the grant on her first application. Henk Meij, senior consultant and manager of Unix Systems Group, stands by two racks of blades, which were donated by Blue Sky Studios. 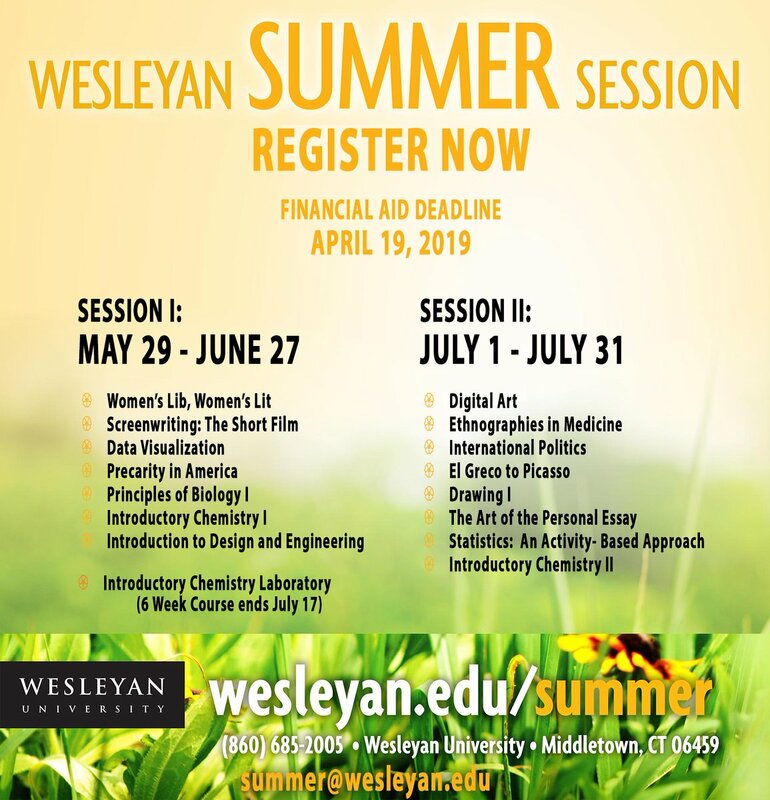 Next fall, Wesleyan students and faculty will perform research activities on the same state-of-the-art animation computers that produced Ice Age the Meltdown, a $652 million worldwide box office hit. The computer hardware was donated July 2 by Greenwich, Conn.-based Blue Sky Studios, the creator of a number of award-winning digital animation features, including the Ice Age series and Dr. Seuss’ Horton Hears a Who, which took in nearly $300 million worldwide. In 2008, Blue Sky Studios refreshed their technology for their latest movie, Ice Age: Dawn of the Dinosaurs, and bought racks of new computers. Blue Sky arranged for the racks to be delivered to the Exley Science Center loading dock. They are now housed on the fifth floor of Information Technology Services. “We requested two, but they graciously gave us four,” Ganesan “Ravi” Ravishanker, associate vice president for Information Technology Services. 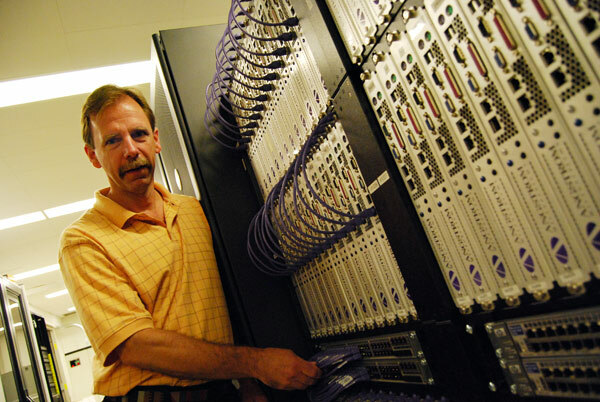 Each rack holds 52 Angstrom Microsystem-brand “blades,” with a memory footprint of 12 or 24 gigabytes each. Combined, Blue Sky donated about 3.7 terabytes of total memory. “This is just phenomenal,” says Henk Meij, senior consultant and manager of Unix Systems Group. 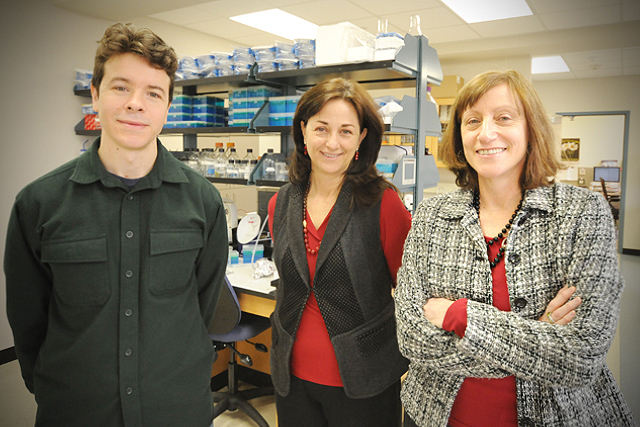 “Once it’s in full operation, it’s going to be much appreciated by the researchers.